The window at left was presented by Nathaniel Wallace White (1850 – 1923), a trustee of the Milton M. P. church, and his wife Sarah Catherine (“Caddie”) Johnson (1850 – 1926), whom he married on February 17, 1870. Sarah was the older sister of Benjamin B. (“Benj”) Johnson, one of the church trustees who presented a window on the west wall. 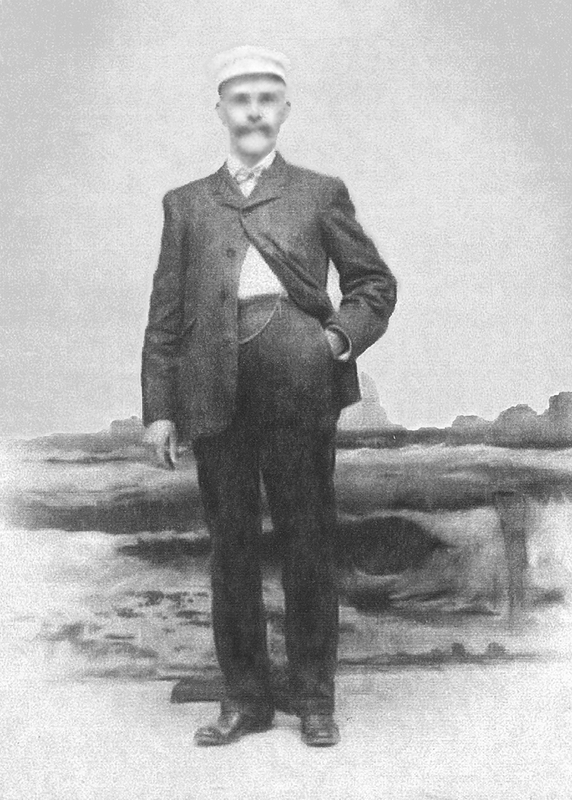 N. Wallace White, as he was typically known, was at various times a painter, carriage builder, harness maker (as per the 1874-1875 Delaware Gazetteer), traveling shoe salesman for the Philadelphia firm of Shumway & Co. (1891), prothonotary (chief clerk) of Sussex County, part owner of the Douglass & White Shirt Factory, part owner of a cannery, merchant, egg farmer, and serious grower of truck produce. He sat on the boards of several local companies and was an elected officer in several Milton civic associations. At least two of White’s business ventures had a significant impact on the life of the town: the Douglass & White Shirt and Overall Factory, which began operating toward the end of 1895, and the Royal Packing Co. 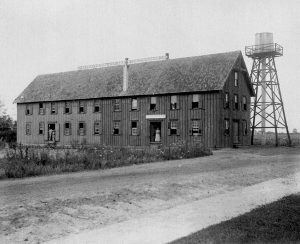 The garment factory employed many of Milton’s young women (see the post titled The Beginnings of Milton’s Garment Industry). It is quite likely that the factory employed at least three of the Sunday school girls around 1910. 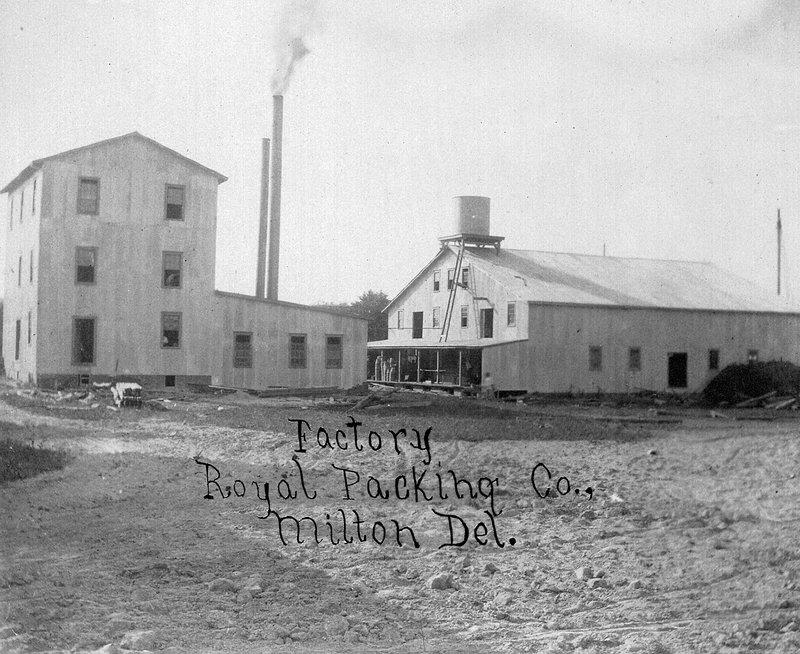 White had sold his interest in the factory by 1908. and invested in the Royal Packing Co., a cannery. He was also a member of the Milton Town Council and the Milton M. P. Church Board of Trustees; he had considerable influence on the latter because of his social status in town. In 1908, he was a delegate to the state Republican convention, and that year was either elected to the office of Sussex County Prothonotary (chief county clerk). In December 1909 The Philadelphia Inquirer reported that Mr. White had calculated the total round trip distance he would travel over the four years of his term of office as prothonotary, between his home in Milton and the county offices in Georgetown: 13,312 miles. With rail connections between Milton and Georgetown practically impossible, he moved his family to Georgetown on November 7, 1909 rather than make that trip by horse and buggy. 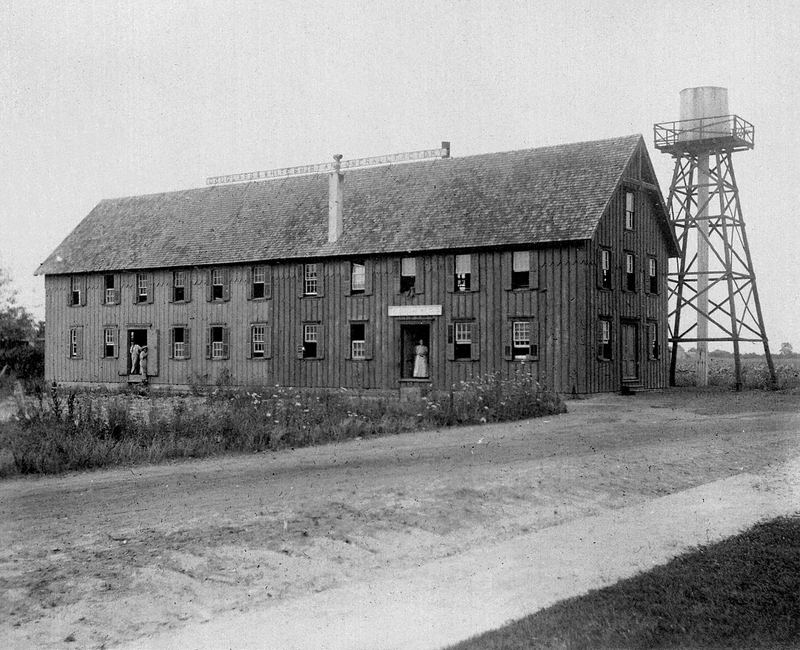 In 1911, he, Oscar Betts (his son-in-law, daughter Emma’s husband), John Robbins and R. Frank Walls raised $20,000 in capital to start the Milton Light, Power, and Water Company, leveraging the power generation capability of the Royal Packing Co.; by May of that year the hydroelectric power generator, located at Ingram’s Mill, was ready. In that same month, another fire swept through the business district of Milton and destroyed the newly completed plant. It was rebuilt, as were the other burned businesses, but by 1917 this company was one of 2,000 listed in the Wilmington Evening Journal as being in arrears of state taxes for at least two years. It is unclear if and when White sold his interest in the utility, and at what point it was superseded by another power supplier. The Whites had three daughters – Carrie, Emma, and Maggie – and one son, Wilford. Only Carrie moved away from Milton, when she married Winfield Wright and move to Denton, MD. Emma and Maggie married into established local families and stayed in Milton for the rest of their lives. 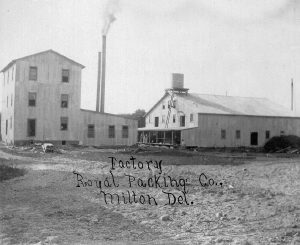 Wilford, who became a basket manufacturer, also remained in Milton. N. Wallace White is also connected with the acquisition and transportation of the windows, and is said to have traveled to Baltimore to pick them up and transport them back to Milton for installation. This story has yet to be confirmed. He suffered a paralyzing stroke in March of 1922 which effectively ended his activities, and died at the home of Oscar Betts in 1923. A notice in the Wilmington Evening Journal of June 14, 1924, advertised a public auction at which N. W. White’s 100-acre farm with improvements would be sold, in all likelihood to complete the liquidation of his estate. 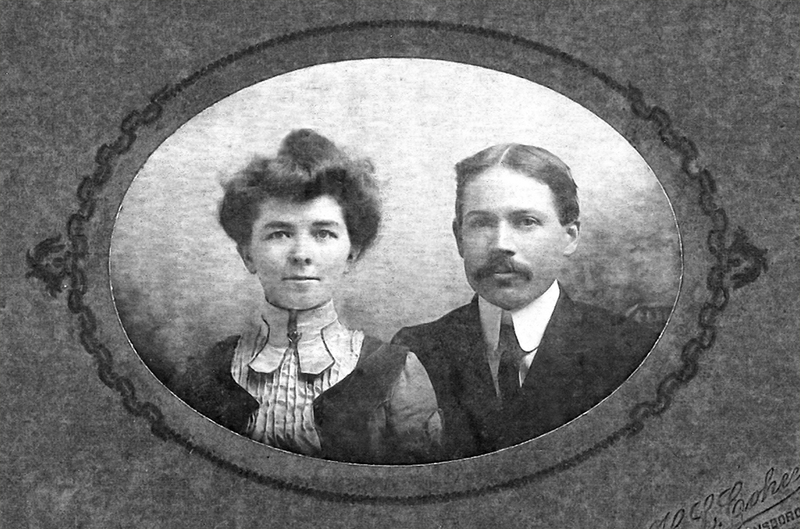 Carrie, the youngest N. Wallace White’s daughters, married Winfield R. Wright in 1903. Winfield was a Milton merchant for about a year, but moved to Denton in August of 1902 to try his luck there. He is certain to have met and courted Carrie during the time he ran his store in Milton. Announcements were sent out the week of March 6, 1903, and the wedding took place a few days later on March 10, at the White residence, with Rev. H. S. Johnson of the Milton M. P. Church officiating. Winfield R. Wright’s Store In Milton ca. 1901, courtesy of Richard Downing, Winfield’s grandson, who was given Winfield’s middle name. The man standing at left is said to be N. Wallace White. The White family members continued to maintain close ties. 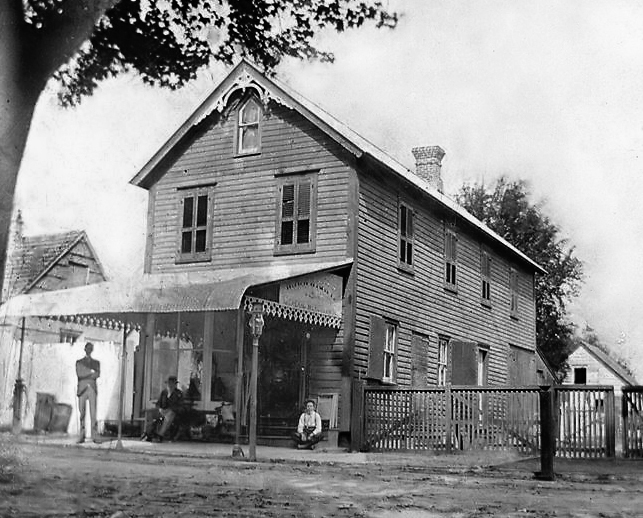 Carrie lived with her husband in Denton, MD, where he owned and operated a department store until 1913. They moved to Milford, DE that year, where he opened a new store. 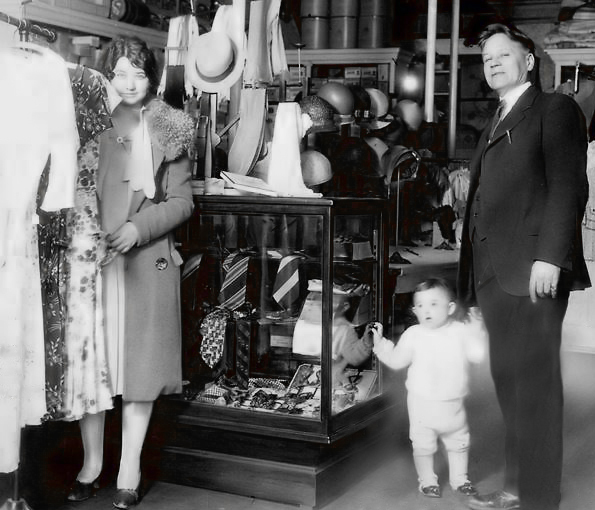 Winfield R. Wright (right) in his Milford store ca. 1932. Daughter Mildred is at left, grandson Richard Downing is standing just left of Winfield. Family photo courtesy of Richard Downing. Incredibly, this archaic term is still used today by Sussex County for jury duty notifications and the like.